GVPG specialise in property amalgamations, development site sales and acquisitions. The founding director, Antonio Mercuri has over a decade of experience in the property field. GV Property Group specialise in presenting the re-development potential of a property and give clients the opportunity to achieve a premium. GVPG run the process to ensure the upside of selling as a collective is genuinely explored. GV Property Group is based in Burleigh Heads on the Gold Coast. join neighbouring property together as a collective sale/purchase. This double block consists of 2x 405m2 sites. Commercial tenants in place returning; Circa $70,000 Nett per annum. Total Site Area: 810m2 approx. Total Frontage: 20m approx. Block consists of 7 units. 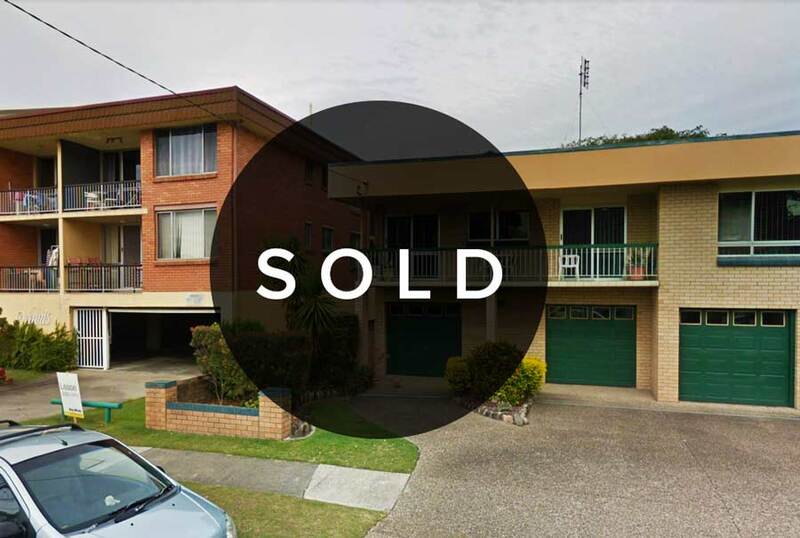 We had the opportunity of selling our family home with Antonio Mercuri from GV Property Group. Initially of course our elderly parents utterly refused! However, a further 6 months later and after Antonio's frequent and friendly visits, we decided to let Antonio do his magic for us and get the house sold. Shortly after it was and we were delighted with the sale price. But more so, we were over the moon with Antonio's professionalism, his respect for our parent’s sensitivity and privacy, and his genuine and caring nature and attitude. You know you have found 'a good honest one' when Antonio even offered to help move some furniture for us. Antonio's service is superior. We would highly recommend Antonio's services to anyone who wants an easy, pleasant and excellent sale price! I would like to comment on Antonio Mercuri from GV Property Group for his professionalism in the sale of my unit. His specialist role in the area was vital and Antonio worked very hard to get the maximum not only price but interest from potential buyers. His strategy to obtain the best price for not only my unit, but the other units in our block was inspired, and his dogged determination and hard work ensured a final result which was well above my expectations. His attention to detail was highly beneficial and informative. Selling not only 1 but multiple units to a prospective developer was very challenging to say the least, for both us as the sellers and Antonio. Liaising with multiple clients was challenging however Antonio responded to queries and requirements promptly and efficiently. I would also like to add that no matter what profession you are in, honesty reaps its own rewards, and Antonio proved this time and time again. If you are looking for a hard-working, honest and dedicated agent to sell your property, I highly recommend Antonio. We wish to thank you for your efforts in the sale of our unit. Whilst the sale took some time to eventuate it was only thru your persistence and professionalism that made it happen. We know it was difficult getting all the owners to agree as other agents had tried in the past and failed. The building was old and was past its used by date and the site was prime for redevelopment. You were always honest with us and conducted yourself very well. You were always pleasant to deal with and we thank you for that. I have found Antonio to be extremely professional in his handling of the recent sale of my property. It was not a straightforward sale and when I wished to speak with him on numerous occasions he was always accessible and would return my calls promptly and reassure me. He also went out of his way on many occasions to be of assistance and always worked on my behalf. I have no hesitation at all in recommending him to anyone requiring his services.